The weather is still very temperamental in Scotland. Hailstones, rain, gales, rainbows and sunshine. I`m confused and not sure when to have a BBQ these days. 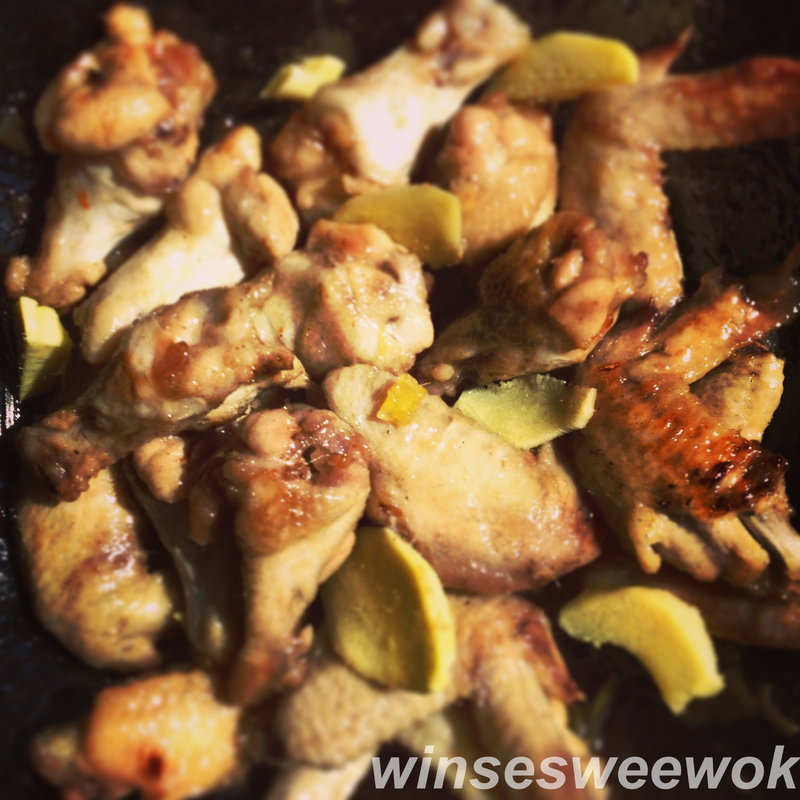 So today I have decided to make some INDOORS honey caramelized chicken wings in place of outdoor bbq wings. They are just as good with a slight char to them. Make these wings indoors! All you need is a non stick pot or a non stick wok and 5 cupboard ingredients and you are good to go! Hope this brings a taste of summer to our crazy so called start of Summer weather! • On a low setting, heat a small pot with water and honey until it melts into a watery syrup. Mix well and set aside. • Using a mortar and pestle, pound the ginger till a fine paste forms. 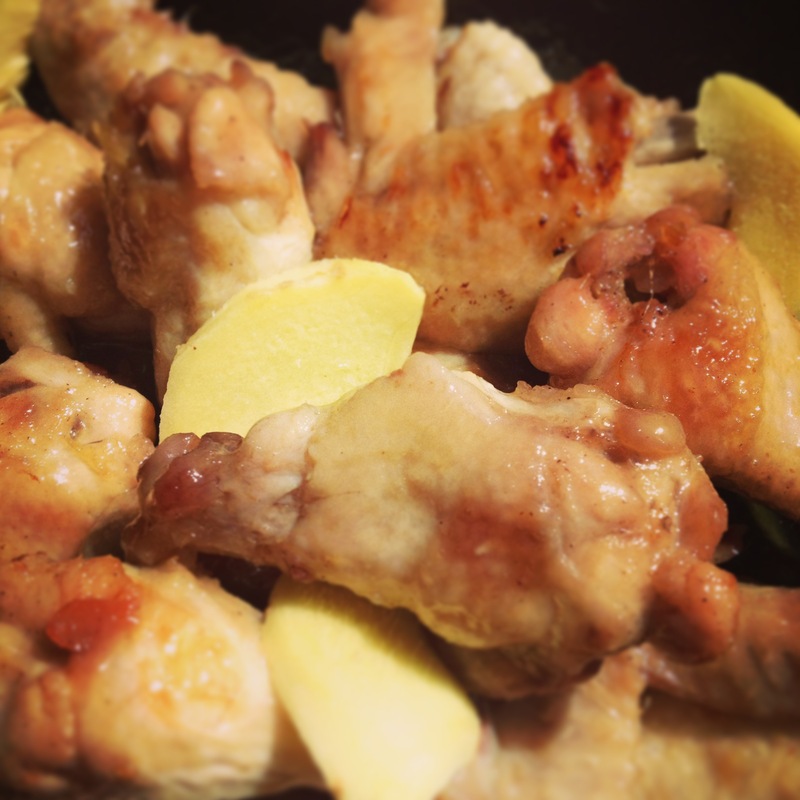 • Separate/cut the drumsticks from the wings. • Heat a wok on medium/high heat. Add oil, once hot, add in the ginger paste, salt and pepper. Stir fry to release the aromas for 10 seconds before adding the wings and drumsticks. • Brown the meats for 2 minutes on each sides. • Add honey syrup into the wok, cover with a lid and simmer on a medium/low heat for 8 minutes. Lift the lid off and allow to cook for a further 3 minutes until the sauce thickens into a caramelized glaze. Serve.